Denuclearization is only one of many issues creating instability on the Korean peninsula. The rapid advancement of technology means the relevance of cyber warfare and security is continually rising. Large-scale violence no longer has a monopoly on the concept of warfare. Instead, access to cyber instruments capable of causing mass disruption has the potential to paralyze entire countries. This innovation means that the North Korean threat is evolving. Whether nuclear warfare remains a threat or not, North Korea’s cybersecurity strategy is increasingly important to its foreign policy. Even if North Korea keeps its nuclear weapons, due to international economic sanctions, cyber warfare is a crucial and inexpensive way to expand their economy. On the off chance that denuclearization occurs, this would make cybersecurity all the more important in terms of defense and national security. In recent years, North Korea has been blamed for a series of online attacks upon the United States, South Korea, and over a dozen other countries. Most famously, it has been accused of being behind the WannaCry ransomware cyberattack that infected hundreds of thousands of computers in 150 countries in April of 2017 (an allegation that Pyongyang has called “ridiculous”). They have also been accused of being behind the 2014 Sony hack and the $81 million cyber heist at the Bangladesh central bank in 2016. Multiple cryptocurrency thefts from exchanges have also been attributed to North Korea. Despite denying any responsibility for these attacks, Kim Jong-un himself has referred to North Korea’s cyber weapons being as important as his nuclear arsenal. This becomes especially problematic when one considers the fact that South Korea remains a key target for cyber warfare, further destabilizing the Korean peninsula. The Republic of Korea is both incredibly valuable and incredibly vulnerable. South Korea is a global leader in information and communication technology (ICT), with one of the fastest IT infrastructures and the highest bandwidth in the world. It owns significant intellectual property and has a highly technologically innovative economy. Despite all of this, South Korea’s cyber security infrastructure is still dangerously weak. At this point, nearly every major organization has been under attack at least once at the hands of the North Koreans and other dangerous cyber actors such as Russia, Syria, and Iran. Government agencies possessing sensitive information on national security matters and the personal details of government officials and civilian employees have also been targeted. The growing awareness of cyber attacks has prompted several countries, including South Korea, to begin to invest in cyber capabilities and to make cyber warfare an active part of their foreign policy. During the inter-Korean summit of April 2018, South Korean President Moon and Kim Jong-un agreed in the Panmunjom Declaration to cease aggressive attacks ‘in all spaces’ pertaining to warfare; the modern conception of this would mean land, sea, air, and the cyber world. 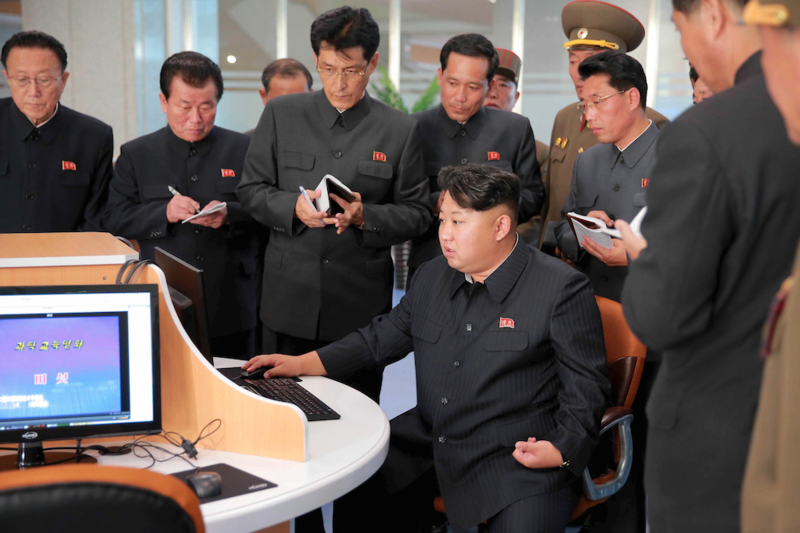 However, the North Korean cyber attacks have not ceased, indicating that either Kim Jong-un does not view cyber as being a part of this definition, or simply does not care. Either way, this false promise of peace should be a smoking gun for cyber experts in South Korea, signaling that they need to bolster their defenses if they are to remain a stable nation. With such a superior ICT infrastructure, South Korea has several options as to ways that it could strengthen its cyber defenses. The United States has recently made clear that it will offer its cyber capabilities to NATO allies, should they need them. Given the historic alliance between the U.S. and the Republic of Korea, if this cooperative strategy could be extended to South Korea (outside of the context of NATO), it could bolster South Korea’s cyber defenses in a world where it is becoming increasingly vital to international security. Additionally, non-governmental technology firms could also partner with South Korea to provide critical security solutions. Given South Korea’s ICT infrastructure and outstanding economy, South Korea is a perfect testing ground for cyber security solutions. Being in such close proximity to a malicious North Korea only serves to undermine the false stability promised at the 2018 inter-Korean summit. With the growing pressures of denuclearization in an international sphere positioning security as the foremost priority for all state actors, Pyongyang is increasingly directing resources to its cyber program. Not only does a dangerous cyber program ensure its security, but it may also be able to assist North Korea in evading the crippling international economic sanctions it currently faces. With no true outlook for Korean peninsular stabilization, the best move that South Korea can make is to begin to truly fix its defenses. Policymakers must take full stock of its capabilities and weaknesses, and begin earnestly resolving problems in its cyber defense program, if it is to effectively combat North Korean cyber attacks.